« Got grasslands? How to get paid for keeping them intact. Founding members of the MRCC include Cargill, Environmental Defense Fund, General Mills, Kellogg Company, Monsanto, PepsiCo, The Nature Conservancy, Walmart, and World Wildlife Fund. The coalition will work directly with growers to help foster continuous improvement and implement conservation activities across three pilot states responsible for 44 percent of corn, soy, and wheat production in the United States: Illinois, Nebraska, and Iowa. By 2025, 75 percent of row crop acres in the region will be engaged in sustainability measures that will advance Field to Market’s Fieldprint Calculator analyses and improve soil health practices. By 2025, the region will reduce nutrient loading (primarily nitrogen and phosphorus) by 20 percent as a milestone to meet the Gulf of Mexico Hypoxia Task Force goal of a 45 percent reduction. By 2035, these three states will have met the 45 percent nutrient loss reduction goal and the Collaborative will be set up to expand across the Upper Mississippi River Basin. Additionally, the MRCC will work to ensure that by 2025, 50 percent of all irrigation units used in Nebraska will maximize water conservation to reduce pressure on the Ogallala Aquifer. Accomplishing these goals will result in clear environmental benefits: improved water quality, reduced eutrophication and greenhouse gas emissions, and restored groundwater in the Ogallala Aquifer, which provides water to about 20 percent of U.S. cattle, corn, cotton and wheat. But the benefits expand to businesses and farmers, too, by improving yields, protecting against supply chain disruptions, and meeting consumer demand for sustainably grown ingredients. Farmer organizations, environmental groups, food companies, state and local watershed organizations, and many others share these common goals – and much work is already underway to meet the MRCC’s objectives. That’s why the Collaborative isn’t reinventing any wheels. We’re ramping up, leveraging and supporting the various technical and regional sustainability efforts already in place. Forging partnerships with farmers, who are at the core of MRCC, is absolutely essential to eliminate redundant efforts across various organizations and collaborators. Collaborating with the National Corn Growers Association’s Soil Health Partnership, which is identifying, testing and measuring farm management practices that improve soil health and benefit farmers. Establishing a Sustainable Agriculture Resource Center for farmers and trusted advisors that lays out the business advantages of sustainability – a key selling point for ag retailers, crop consultants, and farmers. 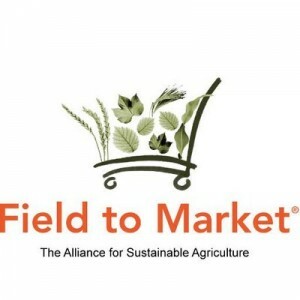 Field to Market, The Alliance for Sustainable Agriculture, and the Agricultural Retailers Association will facilitate this initiative. Partnering with two existing Regional Conservation Partnership Program projects to improve the management of grower data and the metrics used to track environmental outcomes, as well as support conservation practices. We’re also applying the best available science and technologies to ensure that we’re accurately measuring our on-the-ground environmental and yield benefits. The MRCC is groundbreaking, since major companies have never before committed to ag sustainability at such a large scale. But it’s also just a beginning. To keep momentum going for the MRCC and to make this effort a real success, we’ll need many more partnerships with agribusinesses and trade groups, additional commitments from food companies, and we’ll need every sector of the ag supply chain to get involved. This entry was posted in Climate Resilience, fertilizer, Partnerships, Supply Chain, Sustainable Agriculture and tagged Ag Retailers Association, Agricultural Retailers Association, ARA, Campbell's, Cargill, cattle, corn, cotton, crop yields, Farm Progress, farmers, fertilizer, Field to Market, General Mills, Illinois, iowa, Kellogg, Mississippi, National Corn Growers Association, Nebraska, Ogallala, Pepsi, RCPP, soil health, Soil Health Partnership, soy, Upper Mississippi River Basin, Walmart, wheat, WWF. Bookmark the permalink. Both comments and trackbacks are currently closed. It is quite amazing at the pace and scale that agriculture sustainability collaborative efforts are emerging. A fundamental reason for this convergence of these entities is the gradual realization that many sectors, organizations, and corporations, etc. place nearly identical values for the same parcels of land – and that multiple valuation strategies generates significant costs.